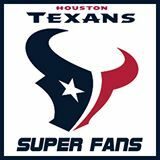 04.02.2015: Texans Super Fans Cookin’ for The Ronald McDonald House! We are all fans of one thing or another. Be it a company, car, or our favorite sports teams. Then there are Super Fans who transform into larger than life characters to root for their team or cause. Tune in to The Unleashed Radio Hour this Thursday from 10am-11am (CST) (Streaming live at http://www.business1110KTEK.com) where we will talk about the Houston Texans Super Fans who have stepped up and are Cookin’ For The Ronald McDonald House of Houston with a Charity Chili Cook-off on April 11, 2015. 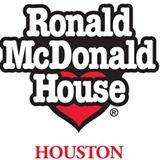 Listen in to learn more about how you can help and to learn about how the Ronald McDonald House makes a difference in our community. This entry was posted in Community, Leadership, Service, Talk Radio, Youth and tagged Community, Leadership, Outreach, Youth. Bookmark the permalink.